Dating and domestic violence: any act, attempt, or threat of force by a family member or intimate partner against another family member. 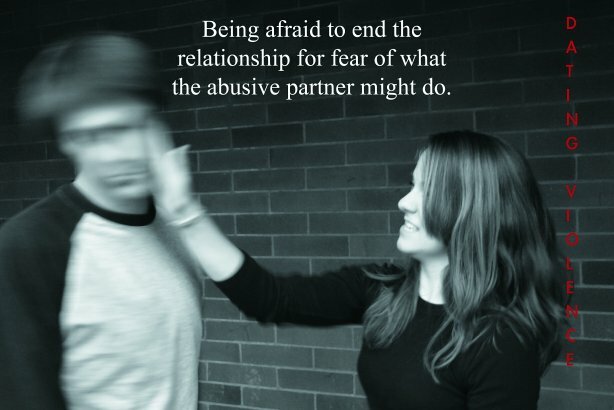 Dating and domestic violence occurs in all socio-economic, educational, racial, and age groups. The issues of power and control are at the heart of family violence. The batterer uses acts of violence and a series of behaviors to gain power and control. Intimidation: Smashing things, abusing pets, destroying victim’s property, displaying weapons. Threats: Making and/or carrying out threats to harm the victim, to commit suicide, to report him or her to child welfare, to make him or her drop charges. Isolation: Controlling what the victim does, sees, and reads, limiting who the victim talks to. Emotional abuse: Putting the victim down, calling him or her names, making him or her think he or she’s crazy, playing mind games. Inconsistent explanations: Victims may provide inconsistent explanations as to the cause of their injuries due to fear of alerting others to the severity of their situation. Alcohol abuse: Victims may use alcohol as a means of escape from their everyday reality of abuse. Injuries in multiple stages of healing: Bruises are the most common form of injury and have the following stages of healing: purple to green to yellow. Why Does the Victim Stay? Financial dependence: Batterers may have forbidden their partners from getting or keeping a job or may have kept secret the location and balance of bank accounts. Lack of social support: Batterer may have controlled victim’s contact with friends, family, and the outside world. Such isolation limits her or his ability to obtain help with an escape. Fear of severe physical attack: Batterer may use threats of attack to keep victim in a state of perpetual fear. The batterers may tell their victims that, if they leave, they will be killed. Self-blame: It is not uncommon for victims to believe that the abuse is a result of their real or imagined offenses. Belief that the violence is temporary or caused by unusual circumstances: Often batterers place blame for abuse on external sources, alcohol, work pressures, etc. and do not take responsibility for their actions. The information in this section is adapted from materials provided by the Texas Association Against Sexual Assault.